If you found yourself on this page, it likely means that you have just booked your first cruise—congratulations! As cruise enthusiasts, we are excited for you. And as seasoned travel agents who facilitate a variety of world-class, all-inclusive cruises, we know a thing or two about this paradise-like getaway that awaits, and in today’s blog, we would like to share some tips and advice for anyone new to the joyous experience of all-inclusive cruises. If you are in the Hampstead, Maryland area and are looking for a cruise package, contact our travel agents. We have a range of cruises that depart from Baltimore! Learn more about our cruise packages and contact us today for your free, no-obligation quote. 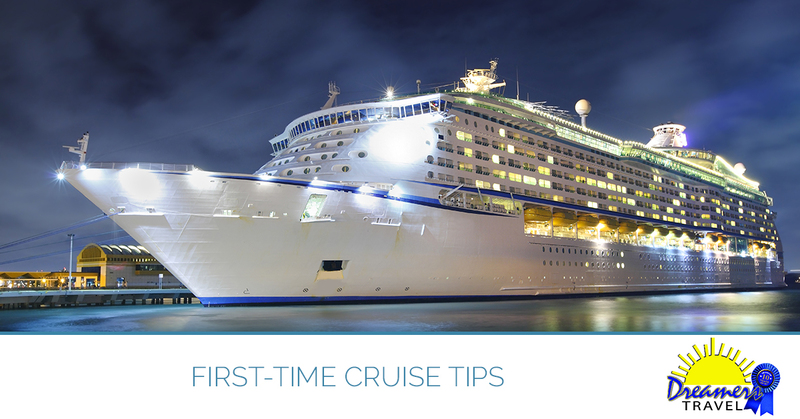 Depending on the type of cruise you go on, you will likely have several stops in port cities. Although it can be fun to explore a new city by meandering around aimlessly, most of the time when you do this you are doing a disservice to yourself because you are missing out on some of the city’s best attractions. To prevent this, spend a day researching all your stops and some key itinerary points while also allotting some time for unplanned discovery. As you likely already know, all-inclusive cruises often do not include alcohol. This is something you have to pay for. If you choose to drink, however, know that when you get a drink at the bar, the price of your drink already includes a gratuity. Most cruise ships charge a standard 15% gratuity on all bar bills. Of course, if you feel the need to throw some extra dollars to your bartender, by all means, do it. Just know it’s not expected. Being on a cruise can feel a lot like being on a small, moving island. It’s truly an engineering marvel. Though you will likely have plenty of time to wander around the 3,000+ passenger boat discovering all it has to offer, it’s good to do some research first. Take advantage of tours, brochures, reviews, and advice from your trusted travel agents. This will help ensure that you get the most out of your all inclusive cruise and don’t discover one of your favorite features on the last day of the trip. Also, remember just because you can eat as much lobster tail and molten chocolate cake as you can, doesn’t mean you have to—at least not for every meal. Have a specific question that wasn’t answered here? Contact Hampstead, Maryland’s go-to travel agency. Our seasoned travel agents are experts when it comes to all-inclusive cruises. Contact us today with questions or to get your free quote.